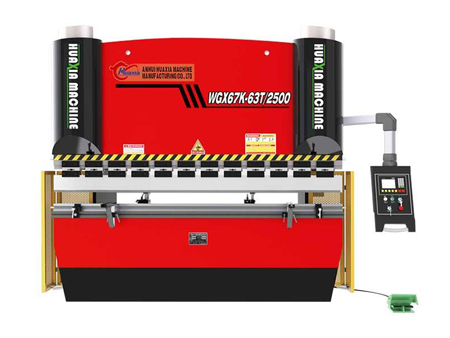 The WG67K(Y) series hydraulic bending press brake's fuselage is designed by using an ANSYS finite element analysis software . 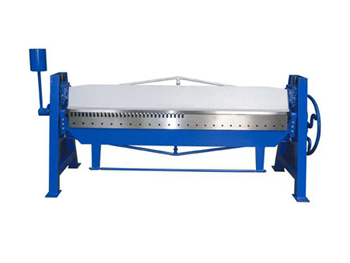 It adopts a steel plate welding structure, so it can work stably and reliably. 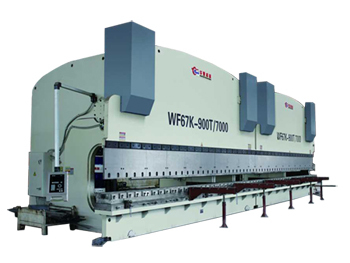 The press brake uses the method of vibration to eliminate the stress on components, making the machine more stable and reliable. The torsion shaft synchronous mechanism uses central bearing and add eccentric adjustment mechanism. Manual oil pump is installed on the inside of the wall plate. 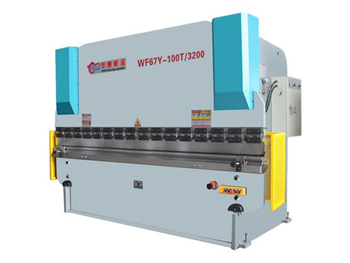 The structure of the back gauge adopts the design of fine grinding, heightening the press brake's adjusting accuracy. 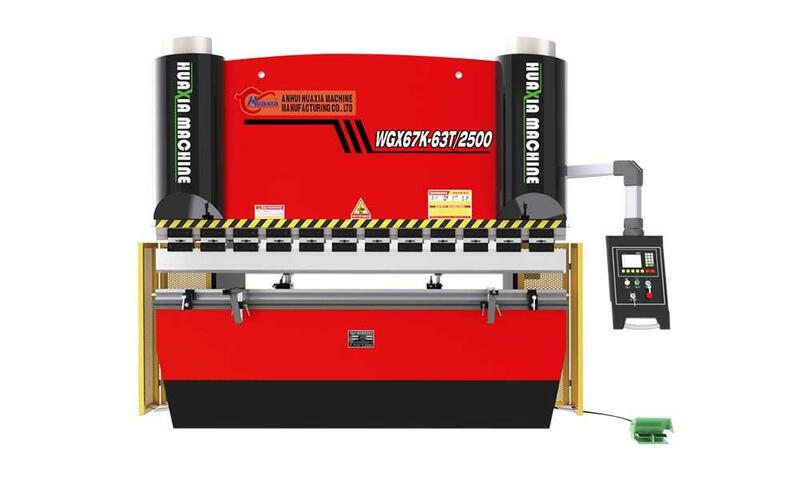 The position of the back gauge and the slider stroke's control are achieved by the servo motor through the transmission device, and they are displayed at numerical control screen, realizing the automation of multi-work step and multi-workpieces. The numerical control system is chosen from DELEM, ESTUN, Tetra, or Sanyuan.